The Suttle Lodge is bringing the region's best chefs to cook remarkable family-style dinners in the forest this winter. The chef series includes some talent from some of Portland's most beloved restaurants, paired with local drink purveyors: Ben Bettinger of Laurelhurst Market with Timothy Malone Wines; Justin Woodward of Castagna and OK Omens; Eric Joppie of Olympia Provisions with Stumptown Coffee; Ian Wilson of Fenrir with Sommelier Tyler Hauptman and Andy Ricker of Pok Pok. Prices vary by date and tickets can be purchased online. 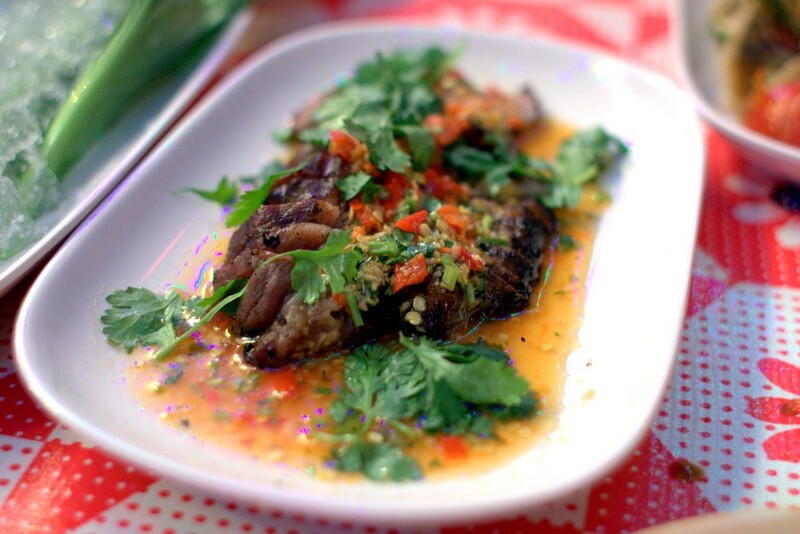 Pok Pok's mangalitsa pork neck.